Storms have you surrounded? Don't get holed up at base, perform a breakout action with this hardy German Military GORE-TEX® Jacket. Rain slides right off, keeping you high and dry until you can get to your car, the mailbox, or the ranger station 10 miles down the trail. We've uncovered a generous supply of these in used condition, ready to offer 100% performance on your next adventure. Breathable, panzer tough, hooded and comfortably warm. Don't miss this! Don't get wet! Order now! 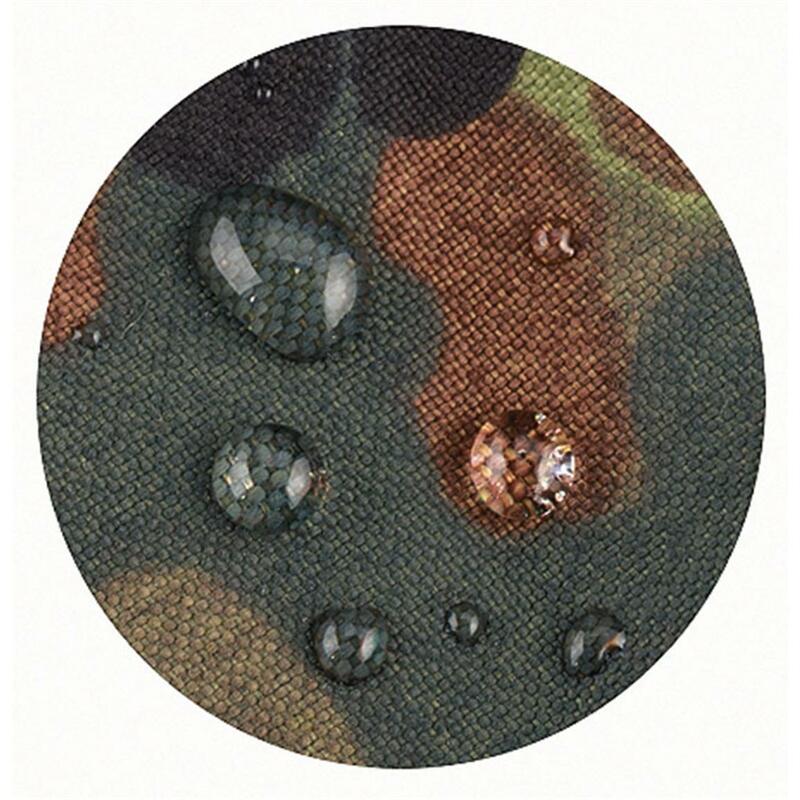 German Military Surplus GORE-TEX Waterproof Flecktarn Field Jacket, Used is rated 4.5 out of 5 by 274. 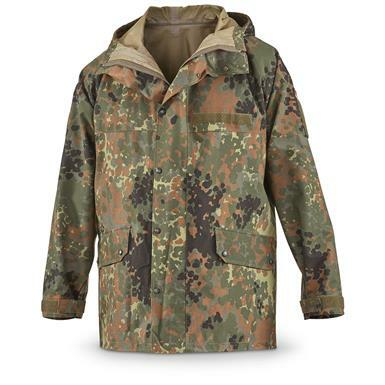 Rated 5 out of 5 by OldGuy from Nice Flecktarn Field Jacket Ordered the jacket and the pants (sold separately) and am not disappointed.Both had an unusual odor so washed each separately in cold water on gentile wash and hanger dried.At 5'-08" and 185 pounds the jacket fits nicely with shooting room. Rated 5 out of 5 by JackL from GORE=TEX German Flecttarn Field Jacket As New! I hunt and this fits the bill for sure. Light but cuts the wind. Rated 3 out of 5 by Skyking from Good quality, but... Very good quality jacket, fits nicely. Zipper broke first time I wore it. But it has snaps on the outside flap and I added some Velcro. Still works ok. Rated 5 out of 5 by Rude Dogg Outdoors from PERFECTION This is the second one I bought & I bought it as a X-MAS gift. I was worried it might show signs of use, but it was LIKE new. My farmer friend has never experienced GORE-TEX rain gear before & loved it. I gave him a nice heavy military fleece to go with it. This is the cheapest gore tex jacket on the market...& the flecktarn camo always starts a conversation. Rated 5 out of 5 by Rosa24 from Great price and made well. My husband loves it. He has worn it every day since receiving.It is well made and warm. It is a great rain jacket. He can wear it for hunting also. It was a great gift for him. Rated 5 out of 5 by wcoastpi from German Mil gore-tex jacket - used Nice jacket, pretty close to new, good fit. Need the matching pants. Only negative would be the zipper works from the left side like women's jackets here in the US. Was a little hard to get used to, but functional. Rated 5 out of 5 by danthejeepman from great item I'm in MS, it rains a lot here. the day after it arrived it was pouring down rain and it worked great. if you live where it rains a lot get this jacket. Rated 5 out of 5 by Bill from Been wanting one for some time Item arrived on time and in excellent condition. Does not appear to have been used much.